I did this analysis with All-New All-Different Marvel Comics and a bit with DC Rebirth. As anyone could’ve assumed Marvel’s PREVIEWS leaked again so no surprise there. First thing’s first. My overall opinion on Marvel NOW! I really, really like how it is looking. It turns out only a few series are getting a new #1 – those being new characters/concepts – but most of your favorite series are staying with their current numbering and I find that to be relieving. This is actually what I wanted. I wanted new #1’s for only new characters, but keep the numbering system for older series. NOW! let’s get into the analysis! When you read something by Mark Waid, you’re gonna have a good read no matter what. I was so glad Mark Waid will helm the writing because his All-New All-Different Avengers was really good. This series will probably have a much less light-hearted tone than ANAD Avengers, which you can tell by the artist Mike Del Mundo. His art is beautiful by the way. Truly one of a kind. Let’s look at the team!It has really cool characters in the mix. We have the new Wasp (Nadia Pym) , Thor (Jane Foster), Captain America (Sam Wilson), Hercules and what looks like to be the new Infamous Iron Man (Doctor Doom). Vision seems to be the new leader of the team, which makes a lot of sense, but what stands out to me is the tag at the bottom corner. “Kang War One!” Definitely means the return of Kang the Conqueror, but I find the “One!”to be a bit weird. Does this mean we’ll get more than 1 Kang War? I think so. The portal appearing behind the team suggests we get to see a more time traveled based iteration of the team. Kang the Conqueror is back! I was never a fan of Kang. I found him to be a boring villain for some reason. Maybe it was the time travel aspect and how much I’ve seen it. Probably not, because I love myself a good time travel story. So the great team, characters I am invested in and talent involved suggests it’ll end up as A MUST READ! NOOOOOO!!!! What is this BULLCRAP!?!? Miles should not be kissing Gwen. Did Marvel forget who is supposed to be with whom? Plus I thought Spider-Gwen is like 15 years-older than Miles….This is just weird. I don’t find this to be stupid, nor crazy, just weird….. So this is a continuation of the series. I only read the first two issues of the 2016 series. I liked them, but I wasn’t in need of keeping up with it. I am not one of those Miles Morales lovers. I prefer him is as a team character and not a solo one. Brian Michael Bendis did interesting stuff with him. Pichelli’s art is very good and consistent so applauds to her. Her and Bendis are a great team, but this title never interested me enough so why would it now? A MODERATE SKIP. The thing has Clint Barton Hawkeye on the cover tempting me to buy this. This series will be a slight commentary on the world. Possibly politics, economics, or things people face everyday in today’s culture. I am not a hater of those type of stories like some people are, unless they convey the wrong message. David Walker is known for writing commentating comics like Nighthawk which dealt with racism. Walta is an okay artist in my opinion. This will be A MODERATE SKIP once again unless stellar reviews come in. It seems like the team looks to consist of Brother Voodoo, Wasp (Janet van Dyne), Deadpool, Cable, Synapse, Rogue, Human Torch and Quicksilver who will find out about (SPOILER FOR CAPTAIN AMERICA: STEVE ROGERS #1! Skip this section if you wish not be spoiled IF you’re that one person in the world that doesn’t know it) Steve’s Hydra loyalty. This will be an interesting development which intrigues even me. I read 4 issues of the series, but it didn’t hook me in like I wanted it to. I am curious how others will react to Captain America hailing Hydra so this will be A MODERATE READ. Gerry Duggan will write and Pepe Larraz will pencil. 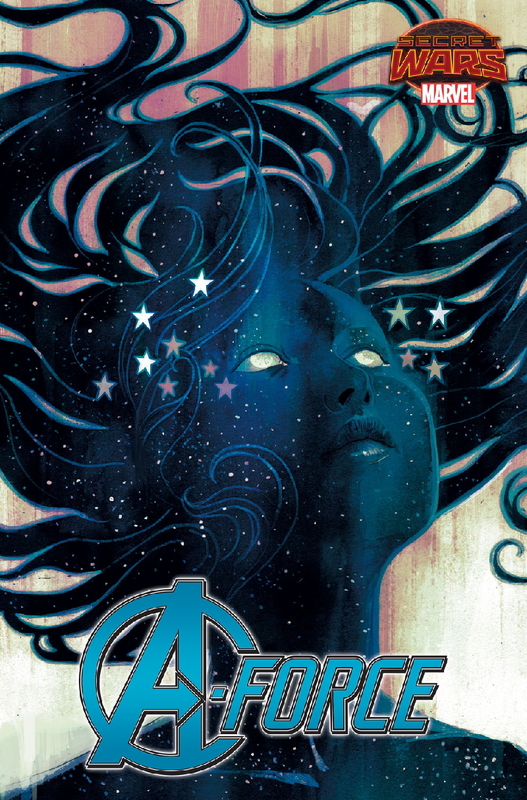 The cover was made by a different artist, but Larraz’s art is really good and fitting for an Avengers comic. I also find it interesting how Deadpool and Cable are here, yet the rest of the X-Men are gone! What is this Marvel? The Ultimates return with the team consisting of the same members like Captain Marvel, Blue Marvel, Ms. America, Black Panther, Spectrum, but with no Galactus this time around. The person who is grasping the Ultimates might be a new character for Marvel, or it might Captain Universe or that new character from A-Force which I can’t remember the name of right now. I read an issue of the Ultimates (2015) an I didn’t enjoy it as much as other people did. I thought it was one of Al Enwig’s more boring stories, but don’t shoot me if you disagree. I might give the sequel another shot making this one A MODERATE BUY. So we have a “²” in the title suggesting Ultimates will have to do math homework? Just kidding. My bet is these Ultimates will have a more space-like presence in the Marvel Universe. The cover was done by Ward, but the interior art is penciled by Travel Foreman. Foreman’s art will make this an easier read for me. OK, that’s that for now. More analysis will come. I just wanna give Marvel props for not revamping their entire line to #1 once again. It might seem like a small deal, but I think constant revamps alter comic industry negatively. We know how greedy companies can get. I think this will indeed benefit Marvel in the long run if they continue ongoingly.